Mixed breed cottontail and pet rabbit? 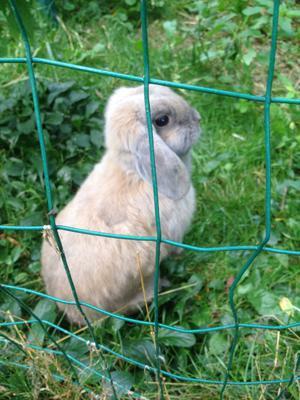 I believe my dwarf lop ear may have bred with a wild rabbit. A day after she had been seen with the wild rabbit, she started frantically moving her bedding around and while out of her hutch, she is digging holes. What can I expect from this accident? Are the babies more prone to not making it in this situation? Well, the good news is that due to chromosome differences between a domestic rabbit and New World cottontails, the likelihood of a successful rabbit pregnancy is probably zero. 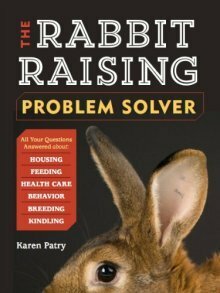 The fact that your doe is now digging holes may indicate the ending of a false pregnancy cycle, assuming of course, that there are no other domestic rabbits in her life. I don't expect any babies from the suspected tryst. But if there were any, it is impossible for me to say whether they would be stillborn, defective, or simply sterile, like crossing a horse with a donkey.